Herb & Spice Series: What do Cumin and Cupid Have in Common? Last May I had the pleasure of helping to coordinate a webinar on spices and the role they play in traditional diets. From the amazing variety of flavors to their health benefits, spices serve up a splendid array of offerings. Since the webinar I have really ramped up my use of spices in cooking as well as having expanded my spice collection. The more time I spend at Oldways the more I have been discovering the vast and varied world of spices. Needless to say I am in great need of a larger spice rack! Last May I had the pleasure of helping to coordinate a webinar on spices and the role they play in traditional diets. From the amazing variety of ﬂavors to their health beneﬁts, spices serve up a splendid array of oﬀerings. Since the webinar I have really ramped up my use of spices in cooking as well as having expanded my spice collection. The more time I spend at Oldways the more I have been discovering the vast and varied world of spices. Needless to say I am in great need of a larger spice rack! One spice that I am ever increasing my respect for is cumin. Native to Egypt, its origins date back thousands of years. 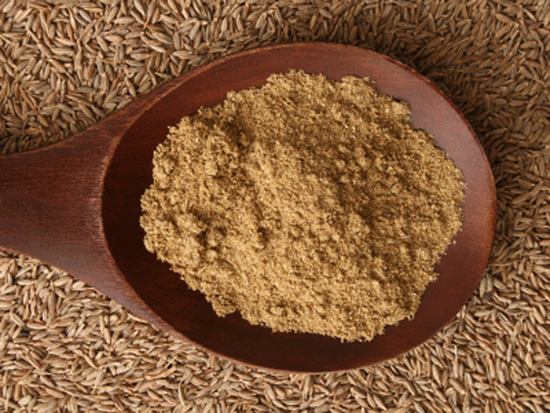 Used not only in cooking, cumin was actually a form of currency paid to priests as tithes. It was also used as an ingredient in mummiﬁcation. And, interestingly enough, cumin has a romantic side! In the Middle Ages it became known as a symbol of ﬁdelity and love; it was carried in pockets of wedding attendees and wives baked it into bread and sent their husbands oﬀ to war with these loaves. Like other spices cumin has many antioxidant qualities that promote well-being. From oﬀering anti-inﬂammatory properties to aiding in digestion and absorption of nutrients, cumin is also a source of iron. 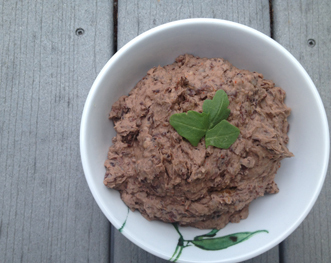 Combine all ingredients in a food processor or a large bowl (if using an immersion blender). Blend for desired consistency and serve with your favorite crudité.